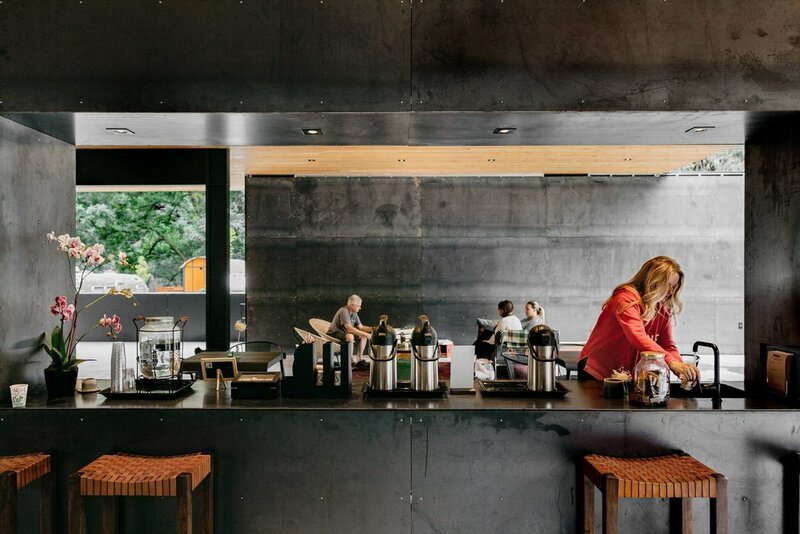 Northern California’s recently opened AutoCamp Russian River combines the best of both luxury accommodations and authentic outdoor ruggedness for an unforgettable, eco-friendly experience suited for people of all ages and camping skills. This is founders Ryan Miller and Neil Dipaola’s second AutoCamp launch, which brings these two creators one step closer to building a worldwide franchise of high-end camping sites that place utmost importance on being environmentally sound, while providing unparalleled outdoor lodging for guests. AutoCamp’s success is the result of decades of relentless commitment to sustainability. Moreover, it’s a prime example of this company’s philosophy put into action. The three core focuses of the company are: environment, community and design. AutoCamp’s ability and desire to invest in these aspects ⎯ while infusing their own unique perspective and creativity ⎯ is a huge reason they have been able to create innovative and successful projects that make for a more happy and integrated community. 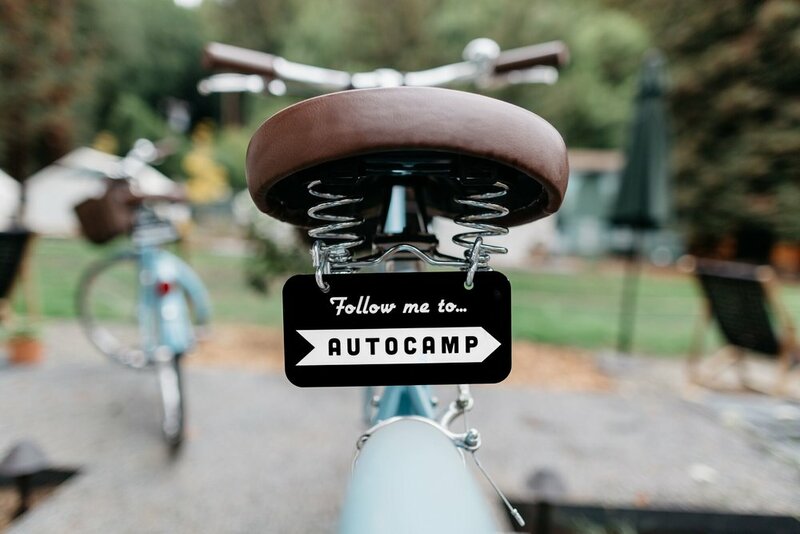 At AutoCamp Russian River, guests feel right at home in any one of the 24 lavishly equipped classic Airstream trailers or in one of the also-lavish canvas tents. Casper mattresses, high-quality linens, sleek bathrooms, kitchenettes, flat-screen TVs with cable and built-in sound systems, and upscale Malin+Goetz bath products are some of the top-notch amenities that can be found in the silver bullets. And though bathrooms and showers aren’t available in the canvas tents, a lounge building that features spa-inspired facilities is located in the center of the campsite. Before AutoCamp, there was The Loop ⎯ five stories of student housing in Isla Vista, California. It was during this project that Dipaola and Miller first began working together at Mesa Lane Partners, where Dipaola is founder and current CEO. The Loop is a state-of-the-art, LEED (Leadership in Energy and Environmental Design) certified building where all of Mesa Lane Partners’ experience and design expertise are implemented. With a team full of passionate outdoor-lovers, most of which came from UCSB’s Environmental Sciences Program, The Loop was designed with features such as solar panels, a green roof, permeable pavement, and non-toxic paints. Utilizing the German-created environmental design philosophy, Passive House, The Loop was built to be as sustainable and energy efficient as possible. Founders Miller and Dipaola understand something that many developers don’t ⎯ that the community plays a huge role in the ultimate success or failure of a project. The minds behind AutoCamp are both designers and environmentalists that strive to use recycled materials as much possible, whether in operations or by using compostable materials and utensils. AutoCamp offers a totally different model of construction than almost any other hospitality brand by pre-fabricating the buildings in a factory, which is more efficient than assembling on site. Despite originally being a rundown area known for nefarious activity, both founders immediately saw the space’s potential, and knew they had found the right place for AutoCamp Russian River. With natural landscaping that showcases California’s common native species, such as redwood trees, red bark manzanita trees, and coffee-berries, tons of wildlife come through the property. “We designed this true-to-nature experience to help people better connect with nature. We want to do this all around the world. We want to spread this experience to people who otherwise may never go camping because it can be hard. To be able to spread that persuasion is just really exciting,” said a very enthusiastic Miller. Inspired by the Tiny House Movement, living with less and with only what you need, AutoCamp’s lodging options are real-life examples of how enriching small living spaces can be. Hailing from California, Chelsea is an inquisitive dessert enthusiast and Golden State Warriors fan. She is a New York based full-time freelance journalist whose work has been featured on Thrillist, The Daily Meal, Fodor's Travel and MSN, among other nationally recognized outlets. Follow her on Instagram and her blog. The carrier of choice in the Netherlands, KLM has been widely recognized for its impressively eco-friendly efforts.